While addressing a crowd of 1,500 at the Council of Global Affairs Tuesday night at the Fairmont Hotel in Chicago, General David Petraeus, U.S. Central Command Commander, translated his leadership lessons in battle for the boardroom and management. Corporate leaders need to be strategic. “They need to get the big ideas right.” For Petraeus, the big idea that the US military got right was a surge not just in troops but in ideas to change the war the U.S. was in danger of losing in Iraq. The second requirement is to educate and communicate the big ideas or the strategies to those in your command—the troops or the workers. One of the things Petraeus expected of his troops down to the private on the street was to respect the rights of the Iraqi citizens, even those under arrest. This “live your values” approach was part of the critical task of securing the population. The third lesson is to oversee the implementation of the big ideas by utilizing effective feedback mechanisms. And the fourth lesson is not to micromanage. Within that is the requirement to capture the best practices and kill the bad practices. This four-star general, a Ranger, a Ph.D. from Princeton’s Woodrow Wilson School whose doctoral thesis challenged not only the conventional thinking on the Vietnam war but the prevailing strategies about war itself. 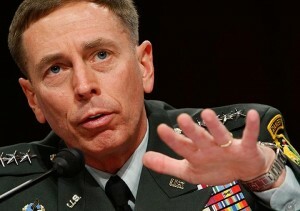 “This is not a ‘take the hill, plant the flag’ kind of war,” Petraeus said. Communication is at the core of his leadership style. “Be first with the truth,” he says. He is quick to distil leadership lessons and write about them as he did listing 14 lessons learned in training the Iraqi army. Americans are lucky that David Petraeus is Commander of CentCom and the most admired military thinker in the world today.